I was not surprised Snow White and the Huntsman turned out a passionless romance and hollow war-game. You only get a good high-genre film once a blue moon, and The Avengers is still playing. I did not expect it to make me rethink the 1937 Disney version as a proto-feminist depiction. But it was, and it did, and so I am puzzled and disheartened by the stream of positive reviews running through professional pages (See Ebert; Edelstein; Salon.com; NYT; WSJ inter alia). The problem for the reader is thus really that of discovering which values are in abeyance and which are genuinely, though in modern works often surreptitiously, at work. Flipping this around I would claim: for a fictional world to have meaning, some consistency of values must be at work. And granting an extension from literature to film, I say SW&TH fails as a story because it never commits to a set of world-shaping values. Thus the audience has no reference points upon which to build belief or make judgment, and so cannot come to care for the characters or their world. Most fairytales stress politeness, especially to strangers—the old man, the poor woman, the slimy frog. Courteous speech and willing labor are rewarded with gifts; discourtesy gets punished. Not so in SW&TH—live and let die seems this heroine’s code of honor and saving grace. She leaves a girl prisoner in the tower. She leaves a horse drowning in a bog. She leaves a burning and ransacked settlement of women and children. She doesn’t even shout a thank you over her shoulder. It could be possible the movie attempts to bend the genre, switch the values of grim realism for the traditional Grimm karma. Claims for reality’s rules, however, have a hard time fitting a film with fairies, trolls and a magic mirror. Rather, the film switches from fairytale norms to those of realpolitik whenever the plot needs a jump, or whenever the camera wants a violent backdrop without real significance. And that is neither fairytale nor reality, because in both those worlds death matters, profoundly. But why should the heroine work to improve the world when her magic comes without effort or cost? There’s the second inconsistency in world norms: good magic flows without skill, price, or work, and that breaks with every genre pattern of magic I know. Nor is it consistently applied; the Evil Queen pays a price for using magic (does she have same spell book as the Stardust witches?). Stretching, one could even read the film’s geography as balance of costs—the Fire Swamp I’m sorry… I mean, the terribly original Dark Forest, is counterbalanced by Sanctuary (the fairy playground, not the show). Yet there’s no balance or cost with the good magic. It just cleans up the mess. Un-commitment 3: Speak up, Child! As a rhetorician, however, what proves most alarming is the end scene. That is, spoiler alert, after the princess wins the day, she is crowned by a man, and then says nothing. She stands up, holding her scepter, and looks around the grand hall until she spots her nameless Huntsman, looking at her. Then she smiles and the camera lingers on her and her off-the-shoulder gown, as she stands and stands, a silent queen. But perhaps that points to the most consistent feature of the movie. The army and huntsman, princeling, dwarves, even animals follow this heroine because she’s the Princess. Her worth—the royal blood and fairest face—is embodied rather than enacted or earned. That might be the grim reality for women in feudal eras, and even in more … contemporary times. This film, however, tries to hide that with claims of destiny, and by giving her a sword, and by switching rules rather than engaging with the consequences of character action (and passivity). Believe us, the film seems to say, though it doesn’t seem to believe itself. That said, while I cannot come to care for this meaningless world, I can see the film offering some certain lessons. Pertinent to my disheartenment are these. One, for any girl with aspirations to the throne (or its democratic analogue), it is good to have a powerful father, better to string along some manly fighters, and best to be the fairest in the land (you’ll know you’re this when men keep kissing your unconscious/dead self). Two, bringing death and destruction to your supporters is just the cost of regime change, but it is absolutely evil to pursue material gain by sucking the life from young girls. It would be fairytale justice indeed, if filmmakers had to live in the worlds they created. I am quoting from the chapter “Purity and Rhetoric” in Wayne Booth’s The Rhetoric of Fiction. My claim that it is a sense of consistent norms that create a fictional world we the readers (or viewers) can come to believe in is based in part by Booth’s later claim: “The kind and amount of rhetoric required will depend on the precise relationship between the details of action or characters to be judged and the nature of the whole in which it occurs” where Booth uses rhetoric to mean crafted writing meant to have specific effects on the readers (from “Reliable Commentary” p.183 in my paperback version). I referred to all the characters by their roles rather than names, because the film goes out of its way to smash them into two-dimensional types. I was tempted to go with the A/V club’s portmanteau “Snow of Arc” especially given the connections between this film and Burton’s recent Alice, but I’d still have to be ever typing The Huntsman, since he never got a name. Cardboard types, I rest my case. There are many other problems with the film. The use (and mostly absence) of anyone not white. The ageist, particularly for women, view that underwrites most of the retelling here (from the story’s fair means beauty to the movie’s fair meaning young). The unexplained, ill-considered blend of pagan and Christian symbols, made to seem significant but never developed. Then again, I am sure I remember these moments so clearly, and feel them so bitterly, because the movie is so slow. 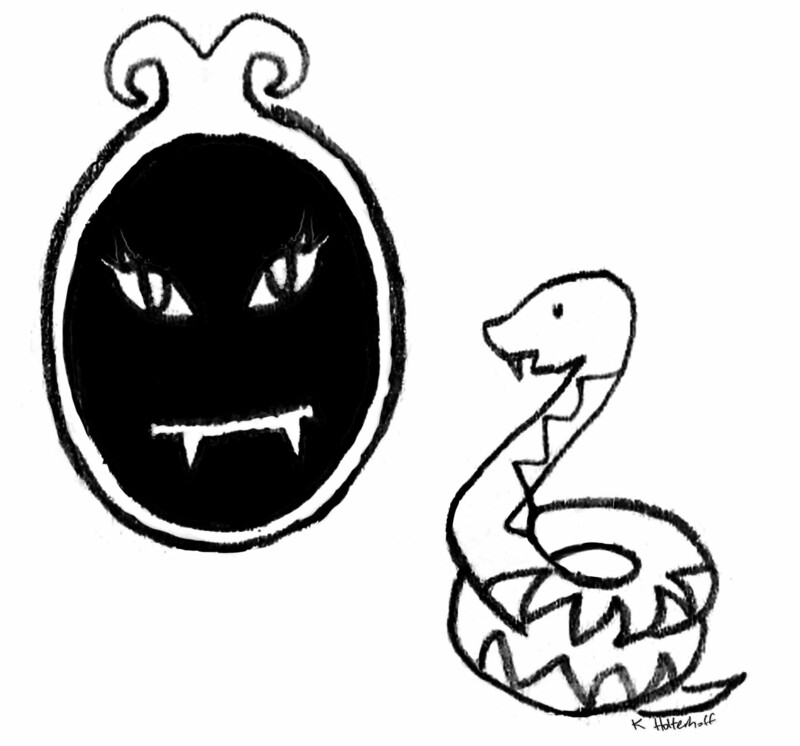 For more on the topic of rhetoric and fiction, or the problem with Kristen Stewart’s CV, see Doug Cloud’s post on Twilight. My thanks to Geoffrey Glover, whose critique of the film made this one possible. You’ve given a lengthy analysis here. I don’t agree with everything you said, but I, too, saw the film and was unimpressed. I don’t know why it would get raving reviews from the pros. Thank you for reading. I am curious to know where we disagree. Reviewing films is a stretch for my rhetorical skill set, and I am always interested to hear where claims fall short. Hi Alexis! I haven’t seen and likely won’t be seeing the movie, and haven’t followed the press coverage, but I can’t let a discussion of rhetoric of fiction go by without cheering on the discussion. So: from reading your review only, I wonder: Is it possible that the filmmakers did not even mean for the audience to admire the heroine?